Your investment objective is the purpose a particular portfolio serves your financial needs. For most people, the purpose of their investment portfolio is long-term growth to fund retirement. Others may already be retired and are looking for current income and long-term growth. And some investors want to simply preserve what they have now and are more interested in safety than growth or income. Once the objective is determined, it will then dictate what particular asset classes and security types are needed to fulfill the purpose of the portfolio. However, it is likely that no matter the investment objective, you'll need more than one mutual fund to do it. Risk tolerance is an investing term relating to the amount of market risk, especially the volatility (ups and downs), an investor can tolerate. For example, if you have a high tolerance for risk, it means you are willing to hold on to your mutual funds when they are declining in value and even amidst a severe bear market. It is generally more risky to hold just one or two mutual funds, especially if they are stock funds, which can perform well long term but can have significant fluctuations (ups and downs), or what is called volatility, in the short term. If you do not know your tolerance for risk, a risk tolerance questionnaire can help by asking several questions with various market scenarios, where you can predict your reaction to them and thus help determine the best fit mutual funds accordingly. What Types or Categories of Funds Will You Need? If you are like most investors and have a moderate to low tolerance for risk, it is best to hold at least three or four mutual funds with different styles and objectives. If properly diversified, they will reduce volatility by combining fund types that do not share the same qualities. For example, in a bear market, stock funds may decline significantly in value but bond funds can hold their value or even rise in value in a bear market. On the most basic level, there are two major categories of mutual funds -- stock funds and bond funds. Stocks and bonds are also two of the three major investment asset classes. You can also invest in money market funds, which represent the third asset class -- cash. Therefore diversification on the most simple level is to invest in at least two mutual funds -- one stock mutual fund and one bond mutual fund. Money market funds can also be an appropriate part of a portfolio, especially if there is a need for liquidity (quick access to cash) and/or the investor has a low tolerance for risk. Generally, and assuming you have a moderate to high tolerance for risk and a long-term growth objective, you will need more stock funds than bond funds in your portfolio. How Much Money Do You Have to Invest in Mutual Funds? Therefore, if you have $3,000 saved and want to buy your first mutual fund, and you want to use Vanguard, you may not have a choice but to invest in just one fund. Fortunately, Vanguard and other no-load mutual fund companies have mutual funds, often called funds of funds, that invest in other funds. For example, Vanguard's "LifeStrategy" funds each invest in four other Vanguard funds. Therefore, buying just one fund like this achieves the same result as buying four mutual funds in diverse categories. How Do You Build a Portfolio of Mutual Funds? While it is possible to invest in just one fund, investors are wise to construct their own portfolio and manage it according to their specific needs. You can take advantage of years of portfolio theory to build a portfolio that is diversified and suited to you personally. 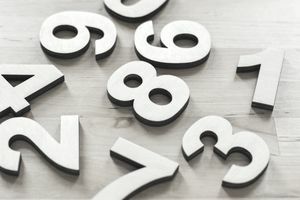 To summarize, and to finally answer the question of how many mutual funds is best, it is likely that the ideal number is somewhere between three and five funds. It's rarely necessary to have more than 10 different funds.